Orsis is an innovative provider of AMR metering technologies, including data collection devices and data delivery solutions. The range of products and services has been widely adopted throughout the industry, in many varied markets and for multiple applications. We deliver metering solutions into the fiscal, sub-metering and micro generation markets. Orsis metering technologies have developed to incorporate micro generation and environmental monitoring; leading us to become one of the UK’s largest providers of remotely read solar PV total generation metering. Our customers include social housing associations, investment organisations and major utility companies. Orsis entered the UK metering market in 2008. Our fiscal and sub metering solutions have been installed in many different environments, including prestigious locations such as Highgrove, Cabinet Office, Belfast City airport, 80 The Strand, National Football Centre and various NHS trusts, local authorities and education establishments. Getting the right solution first time for the customer is vital and we work with every customer to ensure we offer a bespoke simple, sensible solution. Yorkshire Housing is a social landlord with 18,000 properties in the Yorkshire and Humber region. Orsis were successful in winning a tender for the contract for the supply and installation of AMR generation meters, to allow the remote monitoring and automated Feed-in-Tariff submissions for the Housing Associations existing solar PV installations. Carrying out a total of 181 meter exchanges to be completed over a 10-week period, whilst causing minimum disruption to the tenants. 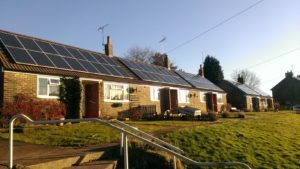 The Housing Association are now able to obtain remote reads from all 181 properties, enabling them to gather day+1 generation data, automate the Feed-in-Tariff payment application, analyse array performance, and identify and troubleshoot under-generating / non-functional arrays. 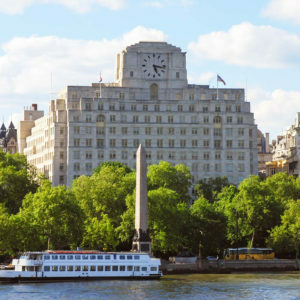 An iconic Grade II listed building in Central London. A 15 storey multi-tenancy commercial building, with multiple high profile, blue chip organisations located within the building. A total of 140 metering points required exchange. The exchange of all electricity meters without disruption to supply for the tenants. The building contains multiple data communications rooms and multiple tenants with differing working hours. Careful project management and coordination between all stakeholders was essential for a successful completion of the project. Furthermore, many of the meter points were located in plant rooms in the basement of the building, adding further complexities to retrieving data. Orsis used Elster three phase meters directly connected to specifically located Orsis LDCs. In total 140 meter points were successfully installed and commissioned within a three week time frame. To resolve issues regarding GPRS signal, Orsis supplied and installed quad band high gain antennas to the Orsis LDCs. A large UK university with a single site campus. The main requirement was to reduce the university’s carbon footprint through accurate metering and remote data retrieval. 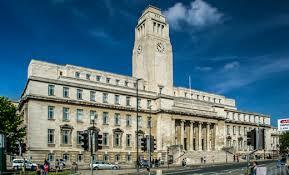 The University of Leeds had an extensive range of meters located across the campus with no infrastructure for remote monitoring of energy consumption. The challenge was to identify and locate each of the meters across the campus and to install all the monitoring equipment with minimal disruption to supply. The various meter types already installed throughout the campus buildings required different connection types. A mixture of Elster three phase and single phase meters were installed with each one connected to specifically located Orsis LDCs using RF. A requirement of the university was to utilise GPRS for data transmission. Orsis and the university worked together to establish a network based system to enable delivery of the metering data to the Orsis platform. As Orsis completed a pre-install site survey, engineers were on-site for a minimum length of time and therefore interruptions to supply were kept to a minimum. The university can now analyse all energy consumption data to establish where cost savings can be made. To provide AMR metering and monitoring of the council’s solar PV portfolio. To ensure data communication in areas with limited network signal. Orsis single phase meters were installed on approximately 1000 PV systems with minimum disruption to tenants. In areas where network signals were poor, high gain antennas were added to ensure GPRS connectivity. 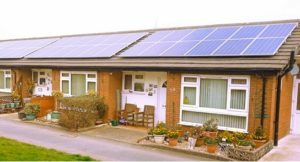 Orsis collect and display the PV data on the Orsis platform and automate the council’s feed-in tariff submissions every quarter. Flintshire CC has recently announced plans to install further PV systems utilising Orsis monitoring services.